Cootie Coo Creations: Book signing and reading at the Coo! 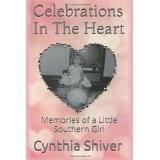 The FIRST book of my dear friend Cynthia Shiver has just been released! The book is available on Amazon, but mark your calendars because Cynthia will be a guest at Cootie Coo Creations on Saturday, November 28, and will be conducting a book reading and signing (you may purchase your books from Cynthia at the shop) that evening from 6:00pm - 8:00pm. Cynthia will read a few of her short stories at both 6:00pm and again at 7:30pm. This heart-warming event will top off a day of celebration of 7 years of the shop's existence and is something you do not want to miss! The day of fun begins at 10:30am with Make N Takes (and prizes and giveaways and special sales) and ends at 8:00pm at the conclusion of Cynthia's book reading/signing. Oh, did I mention that SweetBerries of Gainesville will be catering the event? How often are you able to have so many wonderful treats at one time?? 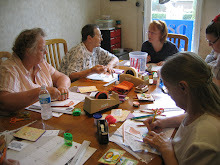 Don't delay...call or email or message to reserve your spot at either a Make N Take session (10:30am - 12:30pm OR 1:00pm - 3:00pm OR 3:30pm - 5:30pm) and/or Cynthia's book reading/signing (6:00pm OR 7:30pm). I just love my life and my friends of The Coo. Hugs to you all and thank you from the bottom of my heart for your continued support! BTW, there is NO charge for attending the Make N Takes or the book reading/signing...just bring cash or your checkbook if you want to buy copies of Cynthia's book...Celebrations in the Heart - whoop whoop!